Furnished with the condo is high speed wireless internet and Cox services for your viewing pleasure. 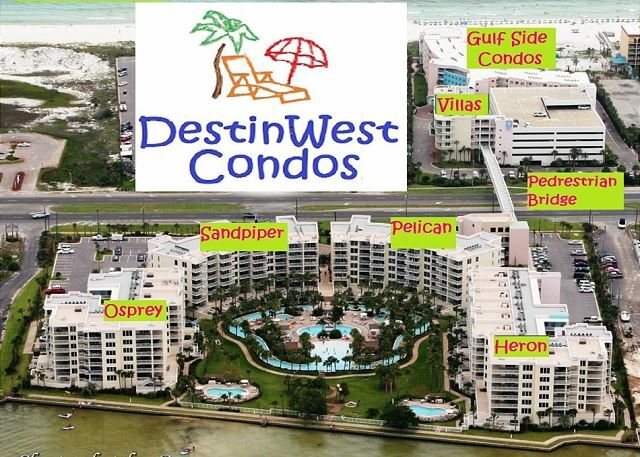 Destin West offers something for every guest. 700 ft lazy lagoon river with inner tubes provided on site free of charge. Waterfall swimming pool, two huge hot tubs too. Guests in the Heron building also have access to an additional seasonally heated pool located directly below this property. Additional pools including kiddie pool are available for your use too-just a short walk over the pedestrian bridge connecting both sides of this exclusive resort. Our family is huge fans of the Destin area for family vacation! 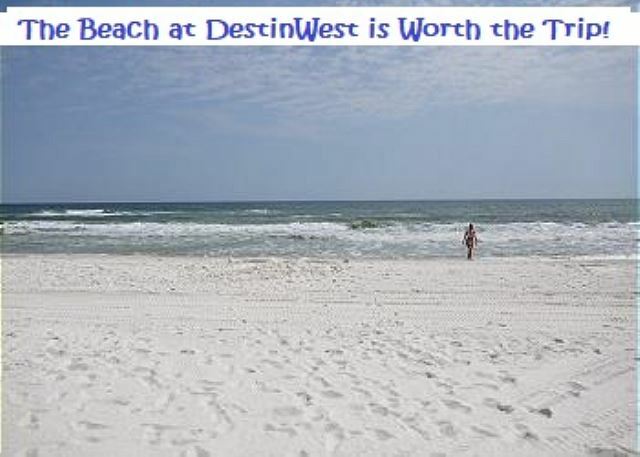 Destin West is one of our favorite places to stay. 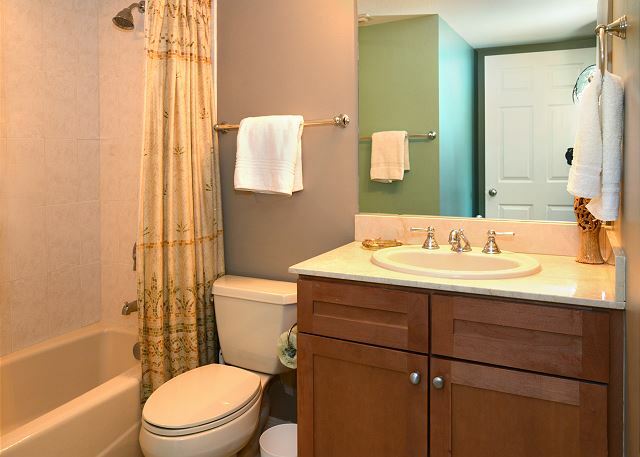 The amenities are fantastic and the large size of the condos gives our family space to spread out. This unit was no exception! Our maintenance requests were handled immediately and the rental managers make sure you know how to get in touch with them if needed. This unit was well maintained and tidy. Our only complaint would be we have babies and their knees and clothes were black after crawling on the floor. We just bought a swiffer and mopped the floors to clean it. Otherwise, everything else was clean, great customer service, friendly and inviting. We will be returning! Dear Ms. Steenhoek, Thank you so much for this excellent review! We love hearing from our guests and are always striving to improve based on your comments! We have begun our seasonal deep cleans and the floors have been given extra special attention. We'll be looking forward to having your family back again next year! 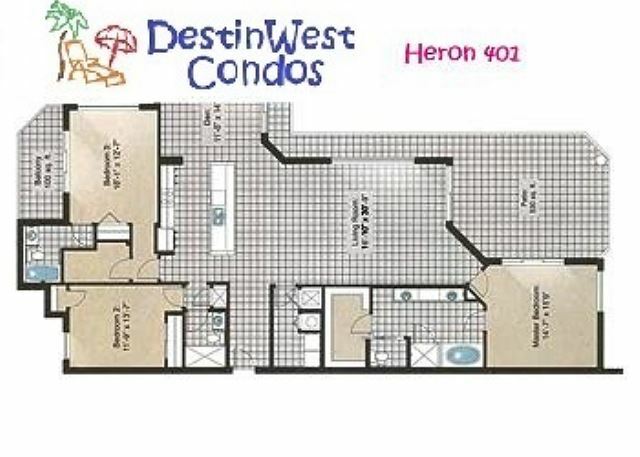 Heron 401 is a wonderful place to vacation! The bedrooms are comfy, the living areas are spacious, and the balcony is peaceful. This was our third year staying here, and we love it! We had 6 adults and 3 children-ample room for all. The owners are friendly and accommodating. AND....they keep it nice and clean! Dear Ms. Poole, Thank you so much for this amazing review! I couldn't agree more about the comforts of 401 Heron. 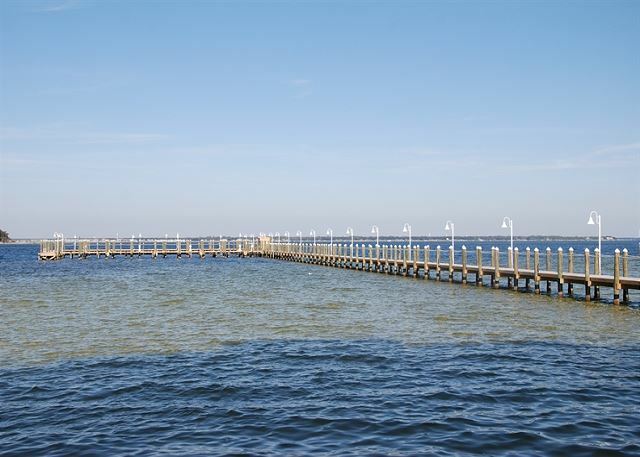 It is a beautiful, spacious condo with gorgeous views! We'll be holding your spot for next year and counting the days until you visit again! The Heron 401 was perfect for my family! We loved it!! There were 12 of us and we had plenty of space to accomodate us. 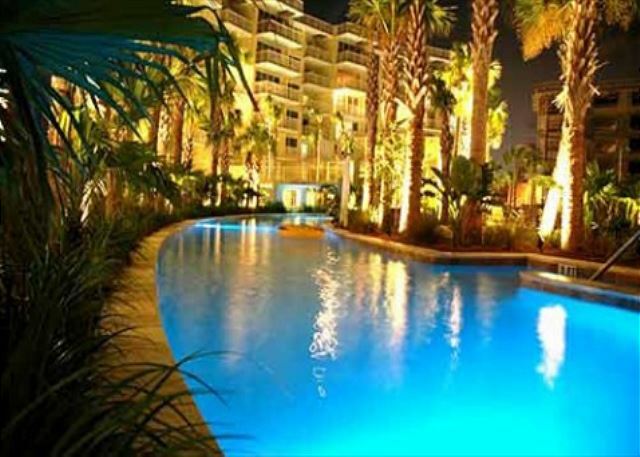 I loved being on the bay and having the pools and the lazy river. The pedestrian bridge to the gulf side was awesome. We will definitely be staying there again!! Dear Ms. Wilmes, It certainly doesn't get much better than 401 Heron! What a beautiful unit! So glad ya'll enjoyed your stay there! We'll look forward to having you guys come back again soon! This condo has to be the best that I have ever stayed at. The only down fall is the hike to the beach but if you want to be by the pool it is great location. Thank you so much for taking the time to leave us such a kind review! 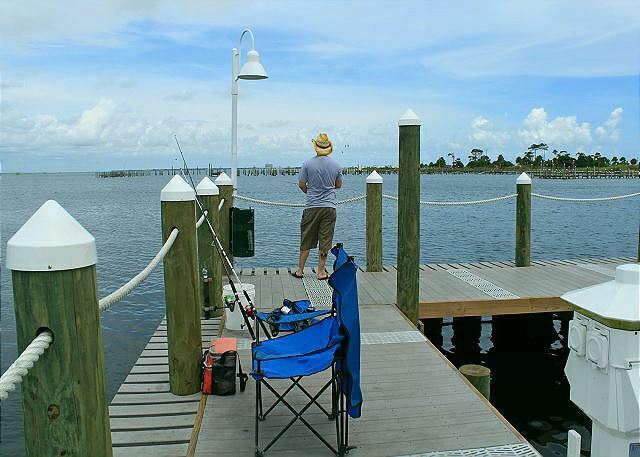 We'll be ready to book your next visit whenever you are, and maybe next we can get you into one of our beautiful Gulfside Condos! Very good experience. Well equipped kitchen. Huge lanai. Beautiful water views. Interesting to see boats and barges passing by. Great bird action on nearby pier. Thank you for this great review! We hope to see you back soon! Our stay was wonderful. The condo was clean and the location is great. My kids loved the lazy river and Fudpuckers restaurant next door. The owner is great as well, very quick response. Would definitely stay here again. Dear Ms. Adams, Thank you for the amazing review! We love hearing that your family enjoyed the stay. We're ready to book your next trip! Please come again soon! This was our 2nd year to stay in this condo. We thoroughly enjoyed both years! We had three families (6 adults, 2 children) and there was ample room. 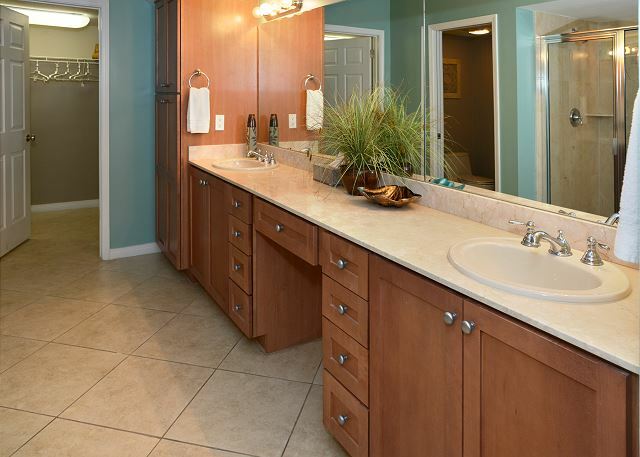 We all enjoy having our separate areas for bed/bath, and the huge common areas are wonderful for whole family time. Condo was clean and furnished well. The owners respond quickly to requests and seem to take pride in their properties. 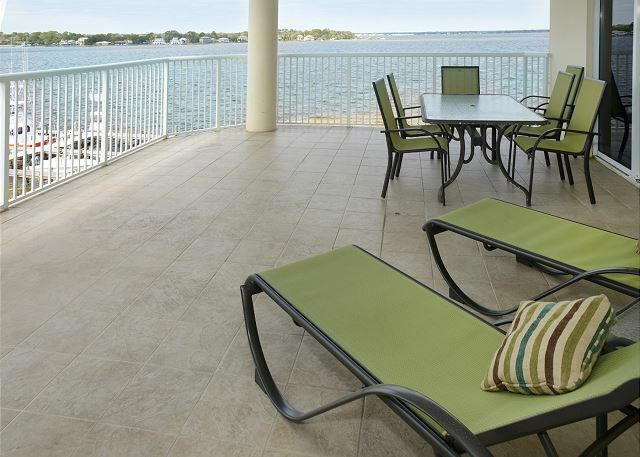 The location is very convenient to everything-pools, beach, restaurants, parks, etc. And the view of the bay from the wrap-around balcony is so peaceful! Dear Ms. Poole, We love hearing that you had such a great time with your family. We're a family business and love seeing that we bring families together! Please let us know when we can help book your next trip! We really enjoyed our stay! The condo was beautiful, very roomy and clean. Love the location and view! My family will definitely stay here next year! Dear Ms. Kutz, Thank you so much for leaving us these wonderful comments! They mean so much to us. We will definitely look forward to having you back! The view, alone was amazing. 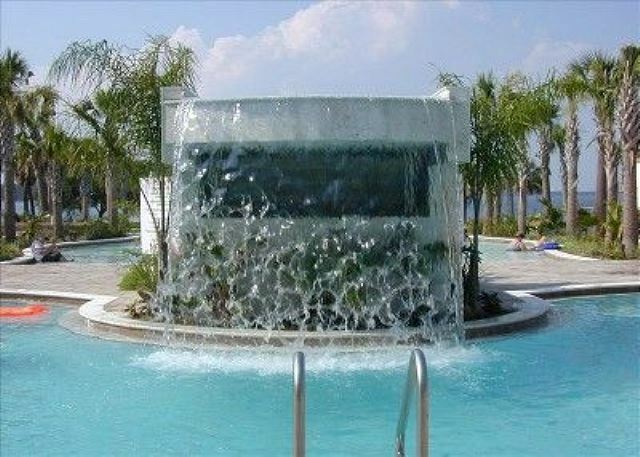 The resort has a fabulous river pool along with many other pools accommodating to all ages. 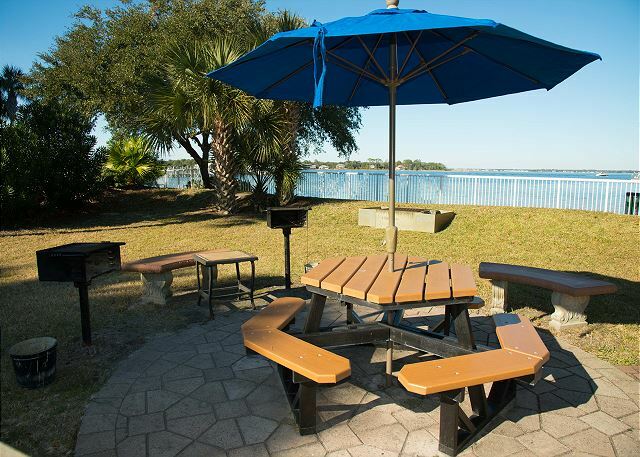 Great easy access to the beaches, many restaurants and activities. Rental was terrific. Plenty of room and nicely kept. Spotted dolphins in the bay from the patio and also had great views of the summer fireworks. We stayed here two years ago for volleyball week and were happy to be able to stay again this year. It is nice and spacious with all the amenities we needed. Would definitely stay here again! Sheila we were pleased to have you back and hope to have you as our guest again. Thank you for the great review. EVEN WITH THE COLD WEATHER DURING OUR STAY. THE AMENITIES WERE VERY NICE. WE WERE PLEASANTLY SURPRISED THE CONDO WAS MORE SPACIOUS THAN THE PICTURES SHOW! The condo was very nice and roomy. We had our first vacation where we could stay in one condo for all my family. Looking forward to going back in 2017 !! Nice location, clean and everything as advertised. 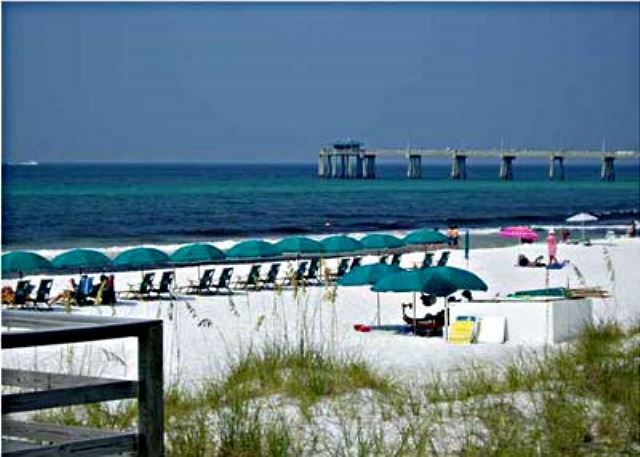 I have stayed at Destin West many of times and this was legitimately one of the BEST stays I have ever had at Destin West. This has TWO balcony's, one of which wraps around the entire condo and one of which was a private balcony off one of the master bedrooms! The condo owners were so accommodating and wonderful! We had arrived a few hours early, and since the condo was ready, the owner immediately sent someone up to let us in and the lady who let us in made us feel welcome to call her if we needed anything at all! Julie and Jennifer are two of the owners/managers, and I will certainly stay in their properties in the future! Thank YOU!!! The pictures do not do this room justice. We had 12 people and it comfortably slept all of them and it was great. to be replaced. We did visit other units that made that transition.